By adopting a dog or puppy from a animal shelter or a rescue like Second Chance Chi Rescue, you are giving an animal in need a much deserved second chance at life. In order to adopt a dog from Second Chance Chi Rescue, start by reading the adoption info page, then you will need to complete a application stating vet references that will be checked and consent to a home check so we can be sure the dog is going to the right home. You may also want to make some time to come meet the dog you are looking to adopt. Yes! You must complete a adoption application in full and all information provided by you must be able to be verified. Any unverifiable information will void a application and you will have to resubmit the application for approval. 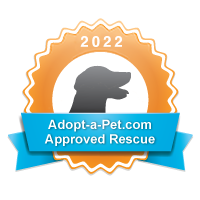 Anyone submitting more than two unverifiable applications will be banned from adopting from Second Chance Chi Rescue. How to avoid picking the wrong dog? To avoid picking the wrong dog we suggest that you find the time to meet the dog you are looking to adopt before adoption. If you spend some time with the dog you will know if it will be the right dog for you. Every dog we re-home has had a temperament test done and all information will be past to the new adopter. Are dogs for adoption healthy? Yes! Second Chance Chi Rescue dogs up for adoption have been fully vetted for health and will come with a health certificate signed by our vet that the dog is in good health. They will also receive their shots and microchip so you can keep tabs on your new family member.